The latest Tiny Sticks 12" came out recently - Old Sequencer - and I can happily confess I think it's the best record I've heard this year. Clap Rules are the bandits responsible for this superb piece of wax goodness - a trio featuring mastermind producer Fabrizio Mammarella. The A-side is just so dark and groovy and masterfully detailed. The sounds and instrumentation are unreeeal! All three tracks on the single have their own unique character and gallop over a whole range of genres without ever being tied down by one sound. It's the first release by this little project and I desperately hope they dish more out. You MUST buy it here. Was really pleasantly surprised by The Emperor Machine's latest single too. Although I've always liked him as a producer, and I like that he has a very distinguishable sound, it's become a bit tired and overworked in my mind. So it's super cool to hear something like You Clapper, the other track on the record. Killer disco sounds with an Emperor twist. I really hope he does more stuff like this - for once it seems like he's trying to explore something new. Groovie! This House of House tune which came out on Whatever We Want a few months ago (how did I miss this?) is a shining example of perfect house music. Seriously, the genre doesn't get much better. 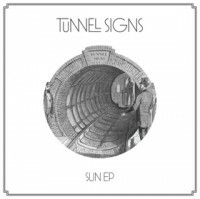 This patiently spread out epic oh so slowly builds up to big piano anthem status with beautiful vocals and once it does it's pure bliss, basking in pure house awesomeness. Sorry about the rip, it's the best I could find and I can't afford to pick up a copy right this minute since WWW records cost about 4 fingers and an ear each. 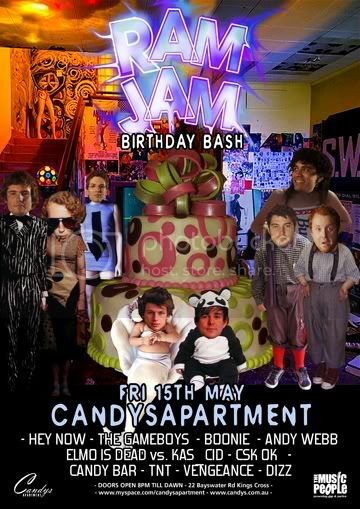 Tomorrow night is Ram Jam's first birthday at Candy's. So sad that I won't be there to bust out some daringly stupid tunes and instead have to brave the ridiculously bitter Auckland autumn, but it's guaranteed to be craazy fun. Those of you in Syd, go loosen up and have a jig and get those ears bleeding. There will be lots of balloons and stuff. the clap rules track is super good. thanks. You're a pretty great human being. I've been looking for that House of House track for some time. Song for you: Let it Happen (Beatfanatic mix) - Vangelis. Get it off Lavamus.com if you can't find it elsewhere. Word up. Thanks for keeping it really real. any chance of a reupload of house of house track?